Mercedes Benz has launched its M-Class with the sole motive of ruling the Indian roads. The vehicle has been offered in two variants- Grand Sports and Grand Executive in the Indian market. The car has already received immense response amongst car enthusiasts across the country and the vehicle holds great future in India. Mercedes Benz M-Class	Appearance: Mercedes Benz M-Class comes in various scintillating colours like Metallic Travertine Beige, Metallic Carneol Red, Metallic Cubanite Silver, Metallic Iridium Silver, Metallic Tanzanite Blue, Metallic Obsidian Black, Black and Alabaster White. The exterior consists of broad darkened headlights, LED daytime running lamps integrated with front bumper. The 10 spoke 19 inch alloy wheels give a robust appearance to the car. 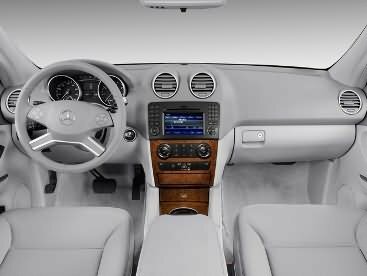 Mercedes Benz M-Class	Comfort: Mercedes Benz M-Class is extra spacious and has sufficient legroom and head room. The leather-wrapped steering wheel has been fitted with audio controls. The vehicle is equipped with automatic climate and air quality control. For the comfort of front and rear seat passengers small storage spaces like cup holders are provided. The comfortable seats ensure relaxed motoring. The car has electrically adjustable backrest and seat cushion angle in the back as well as front seat. The vehicle has multifunction 4 spoke steering wheel in leather that is mounted with audio and multimedia controls. The steering is also added with standard gearshift paddles. 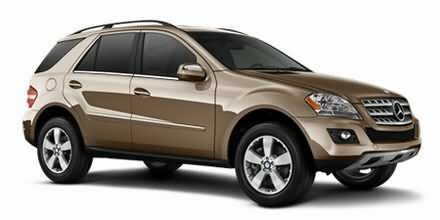 Mercedes Benz M-Class	Safety: Mercedes Benz M-Class has laid special attention on safety aspect. The car is equipped with new crash-responsive head restraints. Other security features include ABS, engine immobilizer, central locking, front and rear seatbelts, child safety door locks and adaptive airbags, Downhill Speed Regulation, Acceleration Skid Control (ASR) and Adaptive Damping System (ADS). Engine: Mercedes Benz M-Class has two variants. The petrol driven model of the vehicle is powered by 3498 cc V6 engine which generates a maximum power of 272 HP at 6000 rpm and a maximum torque of 350 Nm at 2400-5000 rpm. The other variant is the diesel model which is propelled by 2987 cc V6 engine which delivers a maximum power of 224 HP at 3800 rpm and a maximum torque of 510 Nm at 1600-2800 rpm. The highlights of both the variants are fine performance, smoothness of operation, optimum pulling power and fuel efficiency. Mercedes Benz M-Class Grand Sports – Rs. 5411000. Mercedes Benz M-Class ML 350 4Matic – Rs. 5385574. Mercedes Benz M-Class ML 320 CDI 4Matic – Rs. 5964650. However, the prices specified above are indicative price only and reflect lowest approximate price which excludes tax, registration, insurance and cost of accessories.